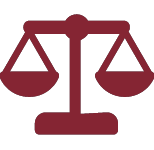 The offices of Loughry and Lindsay, LLC are located in the Camden Law Building at 330 Market Street in the heart of downtown Camden, New Jersey, and are easily accessible by private or public transportation. Tome la salida 4 hacia la ruta 70 oeste. Continue hasta llegar a la ruta 30 oeste (Admiral Wilson Boulevard). Tome la última salida antes del Puente Ben Franklin, “Camden Business District / Rutgers”, saliendo por Calle Linden. Tome Calle Linden hasta 7th Street (se convierte en Avenida Haddon), gire a la izquierda y cruce la ruta 30. Luego gire a la derecha en Market Street. El Camden Law Building, 330 Market Street está ubicado en la esquina suroeste de 4th y Market Street, diagonalmente frente a la Oficina de correos de los Estados Unidos y el Tribunal Federal. Hay estacionamiento con parquímetro disponible en Market Street o en un estacionamiento de pago ubicado en 4th Street justo al sur del Edificio Legal de Camden (a la izquierda de Market Street en 4th Street). Tome la ruta 38 a la ruta 30 oeste (Admiral Wilson Boulevard). Tome la última salida antes de Puente Ben Franklin, “Camden Business District / Rutgers”, saliendo por Calle Linden. Tome Calle Linden hasta 7th Street (se convierte en Avenida Haddon), gire a la izquierda y cruce la Ruta 30. Luego gire a la derecha en Market Street. Tome la I-295 sur hasta la salida 34 hacia Cherry Hill y Camden (Ruta 70). Continue hasta llegar a la ruta 30 oeste (Almirante Wilson Boulevard). Tome la última salida antes del Puente Ben Franklin, “Camden Business District / Rutgers, “saliendo por Calle Linden, Tome Calle Linden hasta 7th Street (se convierte en Avenida Haddon), gire a la izquierda y cruce la Ruta 30. Luego gire a la derecha en Market Street. El Camden Law Building, 330 Market Street está ubicado en la esquina suroeste de 4th and Market Street, diagonalmente frente a la Oficina de correos de los Estados Unidos y el Tribunal Federal. Hay estacionamiento con parquímetro disponible en Market Street o en un estacionamiento de pago ubicado en 4th Street justo al sur del Edificio Legal de Camden (a la izquierda de Market Street en 4th Street). Take the PATCO High Speed Line to the City Hall (Camden) station. Exit at Fifth and Market Street, then walk one block west on Market Street (toward the Delaware River) to the Camden Law Building at 330 Market Streets. We are located on the corner of Fourth and Market Streets. Take New Jersey Transit buses to the Walter Rand Transportation Center in Camden. Walk two blocks north and take a left onto Market Street and walk to the southwest corner of the intersection of Fourth and Market Streets. 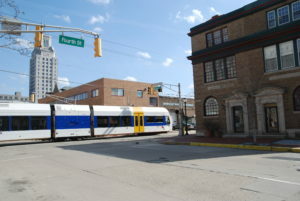 Take the New Jersey River Line from Trenton or intermediary stops to the Rutgers University Stop at Second and Cooper Streets. Walk east on Cooper Street to Fourth Street and turn south (left) on Fourth Street to the southwest corner of the intersection of Fourth and Market Streets. Take the Ben Franklin Bridge from Philadelphia to Camden, New Jersey. At the bottom of the New Jersey side of the bridge, take the Broadway Street Exit (south) and pass through the first stop light (Cooper Street) to the second light and take a right onto Market Street. The Camden Law Building – 330 Market Street – is located at the southwest corner of Fourth and Market Streets, diagonally across from the United States Post Office and the Federal Court House. Metered parking is available on Market Street or in a for pay parking lot located on Fourth Street just south of the Camden Law Building (to the left off Market Street onto Fourth Street) . Take Exit 4 to Route 70 West. Follow until you arrive at Route 30 West (Admiral Wilson Boulevard). Take the last exit before the Ben Franklin Bridge, “Camden Business District/Rutgers,” exiting onto Linden Street. Tale Linden Street to Seventh Street (later called Haddon), turn left and cross over Route 30. Then turn right onto Market Street. The Camden Law Building – 330 Market Street – is located at the southwest corner of Fourth and Market Streets, diagonally across from the United States Post Office and the Federal Court House. Metered parking is available on Market Street or in a for pay parking lot located on Fourth Street just south of the Camden Law Building (to the left off Market Street onto Fourth Street). Take Route 38 to Route 30 West (Admiral Wilson Boulevard). Take the last exit before the Ben Franklin Bridge, “Camden Business District/Rutgers,” exiting onto Linden Street. Tale Linden Street to Seventh Street (later called Haddon), turn left and cross over Route 30. Then turn right onto Market Street. The Camden Law Building – 330 Market Street – is located at the southwest corner of Fourth and Market Streets, diagonally across from the United States Post Office and the Federal Court House. Metered parking is available on Market Street or in a for pay parking lot located on Fourth Street just south of the Camden Law Building (to the left off Market Street onto Fourth Street). Take I-295 south to Exit 34 towards Cherry Hill and Camden (Route 70). Follow until you arrive at Route 30 West (Admiral Wilson Boulevard). Take the last exit before the Ben Franklin Bridge, “Camden Business District/Rutgers,” exiting onto Linden Street. Take Linden Street to Seventh Street (later called Haddon), turn left and cross over Route 30. Then turn right onto Market Street. The Camden Law Building – 330 Market Street – is located at the southwest corner of Fourth and Market Streets, diagonally across from the United States Post Office and the Federal Court House. Metered parking is available on Market Street or in a for pay parking lot located on Fourth Street just south of the Camden Law Building (to the left off Market Street onto Fourth Street).